Only five clicks are required to scan several pages and then save all or a selection as a PDF or DjVu file, including metadata if required. 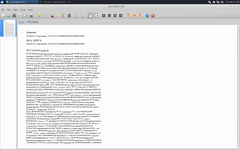 gscan2pdf can control flatbed or sheet-fed (ADF) scanners with SANE via libimage-sane-perl, scanimage or scanadf, and can scan multiple pages at once. 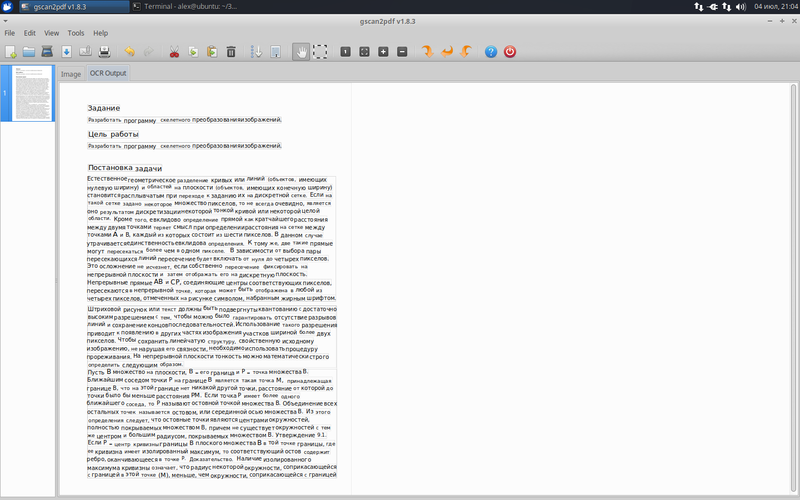 It presents a thumbnail view of scanned pages, and permits simple operations such as cropping, rotating and deleting pages. The resulting document may be saved as a PDF, DjVu, multipage TIFF file, or single page image file. A Perl port of the widely popular log4j logging package.